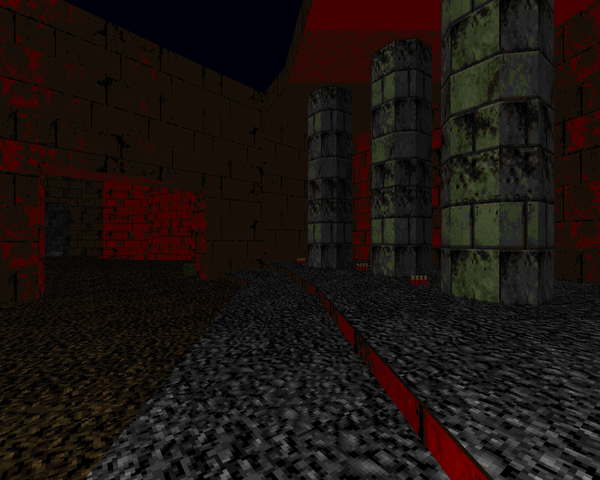 Castle of Fear is one of the independently release maps from Doom the Way id Did by Doomworld forum superstar "ProcessingControl". 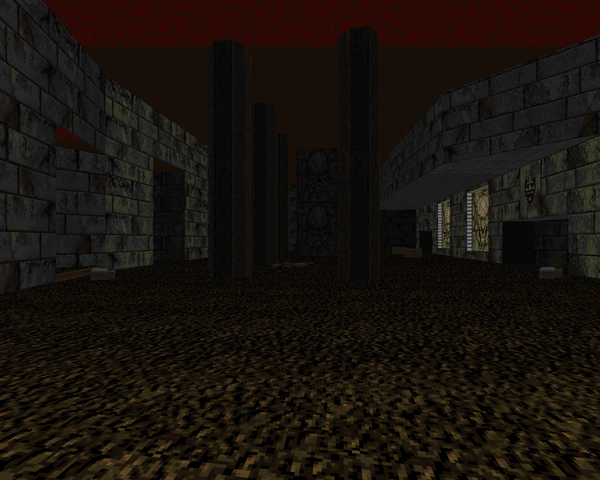 It was originally intended for DTWID's E3M8; PrC stripped the section of the map you see here and kept the boss arena, which made the cut as "Core". CASTLEFR occupies E4M6 of Ultimate Doom. It's a mid-size map cast predominantly in green marble, which may explain his seeding it in one of the Thy Flesh Consumed slots. There are a few HOM errors here and there with some of the rising floors, but it otherwise bears a workmanlike quality in its texturing that's not far off the mark when compared to the id levels. Castle of Fear is pretty easy, in spite of its focus on heavier monsters. PrC gives you the chaingun immediately with more bullets than you can carry in the starting room. There are stores of ammo everywhere, to the point where you can afford to use the rocket launcher indiscriminately, which is available near the beginning. Granted, you should probably save it for the barons and whatnot, but the rooms are spacious enough that chaingun / shotgun dancing are not a problem should you start to run low. The only encounter that's remotely threatening pops out near the end, a nice showdown with a Cyberdemon where the pillars actually make things more complicated. The big dude isn't quite as easy to maneuver around and the columns render his movements erratic. In terms of layout, it's an interesting map, though I'm not sure I could really compare it to any of the existing Inferno levels. 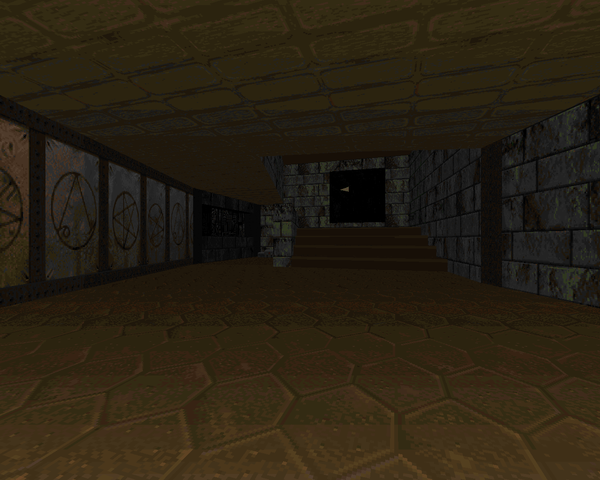 The marble keep begins with a lot of passageways sealed off. As you explore the map and clear out the baddies, you'll see additional wings of the castle open up, often with new terrors lurking behind the crumbling walls. While most of the map is in green marble, it has a few deviations in red brick, with an organic staircase that leads to a little wooden annex. The decoration is sparse but serviceable. I would have liked to see a few more features in the larger rooms, and maybe some bits of flash in the barren hallways, but the cramped areas and hordes of monsters are distraction enough. CASTLEFR is a pleasant if not exactly challenging map. I can see why it was cut from the rest of "Core", as the two combined would have more of an E4M8 feel than what the project ended up targeting. It's also out of line with the Inferno episode's difficulty, though I assume that's something that would have been adjusted during focused playtesting. It's a solid map regardless of these "issues". 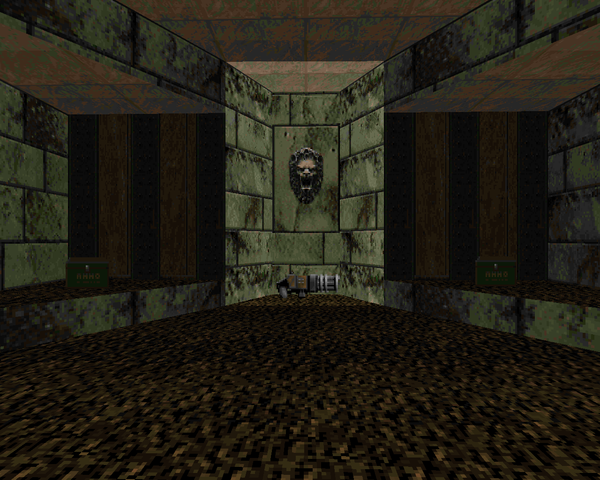 If you want some nice, easygoing Doom gameplay, you should give Castle of Fear a try. Thanks for the review, nice to see that you enjoyed my map. Hopefully you'll have a chance to review some of my newer better levels once the projects that they're part of get released.